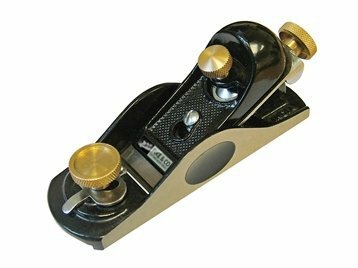 The FAIPLANE912 is a 9 1/2 block plane seated set at 21 degrees. It is ideal for end grain and general purpose finishing and has a 42mm cutter width. The block planes are supplied in a wooden box. The block planes are designed for end grain work or in any situation where a single handed operation is required. The low angle cutter and fully adjustable mouth from wide for coarse work to narrow for the fine shaving of awkward grain, make these planes ideal for all types of end grain work.